Chrome plated brass and bronze. Use with 2" I.D. hose to pass wiring harnesses and control cables th..
Reusable fitting 5/16 msh5 Description: Fits 5/16" ID MSH5 hose..
All SeaStar manual hydraulic steering systems utilize the same style of fittings for all application..
Ball joint bolt kit(k-1 2 3 5) Description: Ball Joint Kit..
3 bulkhead fitting kit Size: Up to 3" splashwell..
Bulkhead ftg 3 max sgl/cyl Size: Up to 3" transom..
Bulkhead ftg 3/4 max sgl/cyl Size: Up to 3/4" splashwell.. 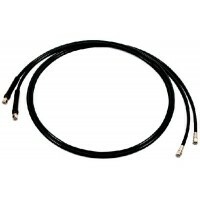 Contains two hoses 18" long. For single cylinder applications. 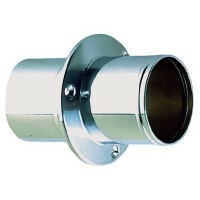 Supplied with 1/2" swivel flare nuts ..
Dual cyl purge hose for ha5445.. 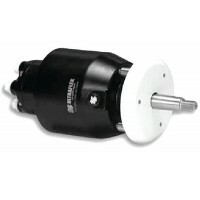 These fitting kits enable installation of a 2nd station helm or an autopilot pump into an existing S.. Gauge bottom mount 0-60 psi Pack: Gauge, bottom mount, 0-60 psiDescription: .. Gauge rear mount 0-60 psi Pack: Gauge, rear mount, 0-60 psiDescription: ..
Seal kit-o/b f/m cylinder For: HC5340..
Seal kit f/o.b side mount cyl For: HC5370..
Seal kit 125em mv bj atm For: HC5312..
Seal kit f/hc5313-old #hs0773 For: HC5313..
Seal kit 150 em mv bj atm For: HC5314..
Seal kit all frt mt w/wrench For: All SeaStar FM cylinders except HC5340 - w/wrench..
Seal kit all f/m cyl w/o tool For: All SeaStar FM cylinders except HC5340 - w/o wrench..
Non-vent plug Description: Non-Vented Fill Plug.. Tie bar - omc ficht/suzuki ap Description: Port engine to drive cylinder tie bar kit (see SeaStar Ap..
Power assist dual ignition kit Description: Dual Ignition Control Kit..
Power assist unit-seastar 12v Description: 12V with 15' Harness..
Quad ring #214 - 10/pk Pack: 10Description: Quad Ring #214..
Quad ring .210 hyd helm 20/pk Pack: 20Description: Quad Ring #210..
For the SeaStar helm pump. Units prior to 1984, there is no seal kit. For: 1984 -1990 Helms.. The SeaStar cylinder allows for the periodic required realignment of two outboard motors or rudders ..
Tube nut 5/16 nylon tube Pack: Tube nut, 5/16" nylon tubeDescription: ..
Univ tie bar single cylinder Description: Twin Engine/1 Cylinder..
Univ tie bar twin cylinder Description: Twin Engine/2 Cylinder..
Washer 1/2id x 1-1/16od 10/pk Pack: 10Description: Washer, 1/2" ID x 1-1/6" OD..
SilverSteer hoses are designed for high performance applications and recommended for use with Uflex .. 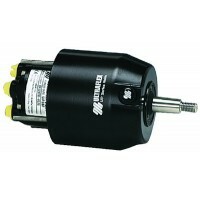 These tough, high quality inboard cylinders hold up to the most demanding applications. Compatible w..
Back mount 1.7 Mount: RearPistons: 5Volume: 1.7ciMax Wheel: 28"..
Back mount 2.4 Mount: RearPistons: 7Volume: 2.4ciMax Wheel: 28".. The UC293 brass cylinders handle boats up to 60' in length. Completely compatible with competing hel..
For second steering station or autopilot installations.Includes all necessary fittings for 3/8" nylo.. Compatible with competing helms, hoses and oil, the UC128 cylinder is built to last with heavy duty ..
Front mount helm 1.7 Mount: FrontPistons: 5Volume: 1.7ciMax Wheel: 28"..
Front mount helm 2.0 Mount: FrontPistons: 7Volume: 2.0ciMax Wheel: 28"..
Front mount helm 2.4 Mount: FrontPistons: 7Volume: 2.4ciMax Wheel: 28"..